Shocking report this evening on Channel Four Dispatches, Undercover: Britain’s Cheap Clothes, on fast fashion sourced by leading brand names from sweatshops in Leicester – New Look, River island, Boohoo and Missguided – workers paid less than half the minimum wage. The usual response, we did not know, if we had known we would have dealt with it. When fast fashion forces down the price it pays, when a factory owner says he cannot produce at the price unless he pays his workers only £3 an hour, then of course these brands are culpable. In one of the sweatshops, supplying Boohoo and Missguided, it was a potential death trap. The brands rake in vast profits on the back of exploited workers. The people who buy into fast fashion, wear once then throw away, are also culpable. In addition to exploiting workers, it is damaging the environment. It does not have to be, instead of fast fashion, zombies buying into the latest fad, we can have slow fashion, quality, sustainable production, minimum impact, ethical, paying producers and workers a fair price, clothes we value. 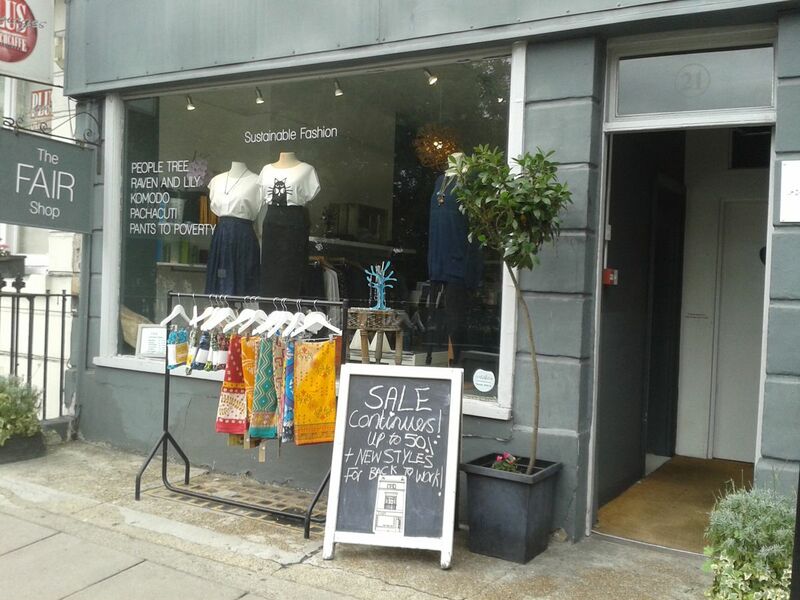 Though you will look long and hard to find fashion shops that support slow fashion, other than simply pay lip service. Two that spring to mind, The Fair Shop and Nia Boutique. The Fair Shop in Brighton, on the road leading down to the seafront from Brighton Station. Not the best location, a better location would be in North Laine. 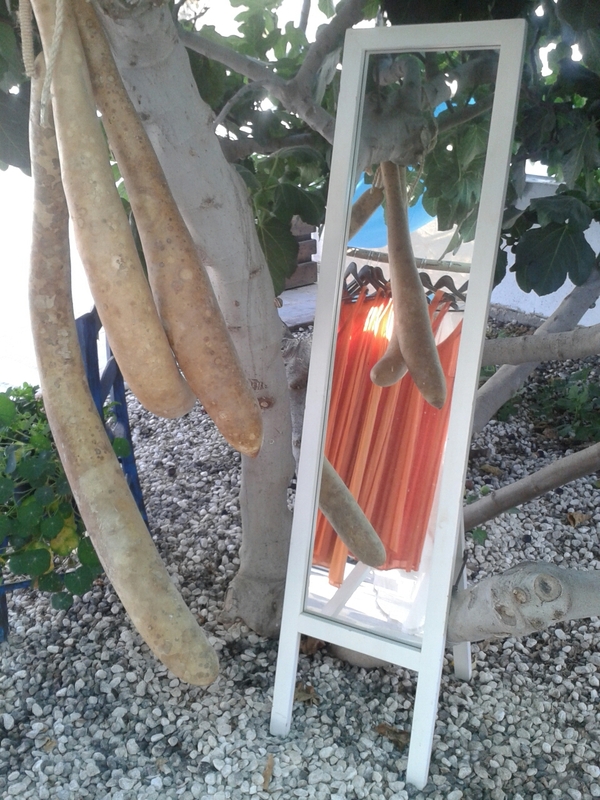 Nia Boutique in Protaras in Cyprus overlooks Fig Tree Bay. A boutique in the open air, with clothes hanging from the trees, in the style would find on a Greek island. Sophia can be found hidden somewhere. It is next to Myu Coffee, one of the rare places where can obtain a half-decent coffee in Cyprus. 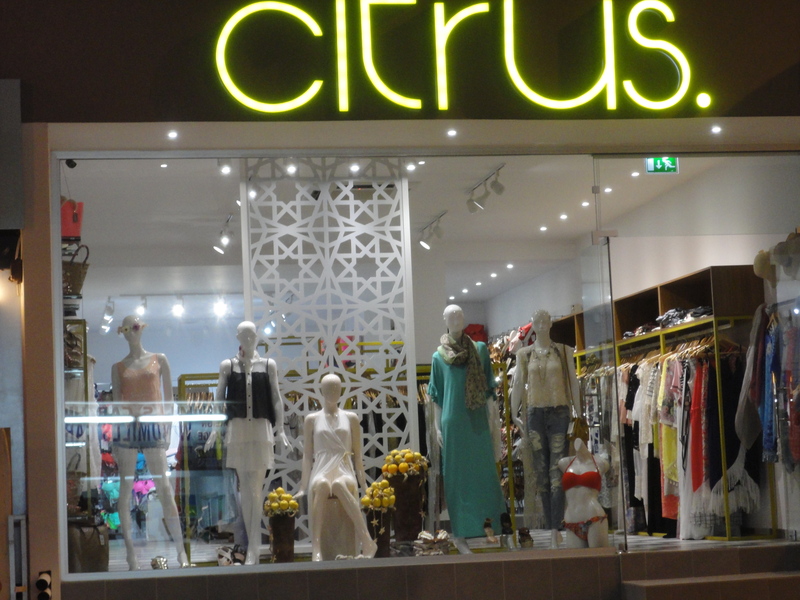 Reminded of citrus and Nia Boutique in Cyprus. I came across The Fair Shop walking down to the seafront on a trip to Brighton. Sustainable fashion, slow fashion, minimum impact, ethical, paying producers a fair price, clothes we value. One range in The Fair Shop, was from a group of women in Malawi. Fashion is one of the most damaging industries on the planet, from cotton that is one of the most polluting and water intensive crops grown, to the hazardous chemicals used to processes and die the cotton, to the sweatshop labour used to make the clothes, through to disposal clothes, worn once and then thrown away. The Fair Shop in Brighton is an example that shows it does not have to be, as does Nia Boutique in Protaras in Cyprus. Nia Boutique as seen through the looking glass. A hatchet job in the Daily Mail, shock horror, Russell Brand exploiting Bangladeshi workers in their sweatshops to expand his evil clothing empire. Shoddy reporting. Nothing more than a hatchet job on Russell Brand. Weasel words like grade-A hypocrite. Russell Brand made a mistake. In good faith he placed a contract with assurances on production. When these assurances proved to be false, he admitted he got it wrong, pulled the contract. Could the reporter not have gone to Russell Brand and said, did you know the conditions of production? But no, run to Daily Mail, Do Not Pass Go, collect thirty pieces of silver on the way. Surely the focus should be on the company, not Russell Brand? For who else are they delivering non-ethical clothes? The company, Belgium-based Stanley & Stella, admitted to the Daily Mail it had problems with illegal overtime in the Bangladesh factories. According to the Daily Mail its clients include Next, Tesco and Sainsbury’s. The most important thing that makes our business a sustainable business, it is that we commit to have continuous improvements pushing forward all kind of barriers. The company claims it is working to reduce illegal levels of overtime at the factory and had ended contracts with other factories which refused to stop pushing workers into 90-hour weeks. Even the Daily Mail is forced to admit that industry regulator, Fair Wear Foundation, says the factory is one of the best employers in the country and pays more than other less scrupulous operators. Thus even from accounts in the Daily Mail, the company Russell Brand placed his contract with is better than the industry average, not only better ‘one of the best employers in the country and pays more than other less scrupulous operators’. Not good, not ideal, but not quite as bad as the Daily Mail would have its readers to believe. If the Daily Mail is now so keen to highlight the plight of workers in Third World sweatshops, will we be reading a few more stories, the first of a series, this time highlighting the big name fashion brands? Will the Daily Mail be refusing adverts from these brands until they clean up their act? Stanley & Stella claim high ethical standards, that they are on the ground monitoring factories. How do they then explain workers paid less than a living wage, forced to do illegal overtime? How do they justify the huge disparity between low production costs and high retail price? The Mail has discovered that those who make sweatshirts for Brand’s website work for up to 11 hours a day. The starting monthly wage is 6,200 Bangladeshi taka (TK) a month, or around £52. This works out at around £1.98 a day, excluding overtime. The minimum legal wage for Bangladesh is TK5,300 (£44.21) per month. That is far short of the TK25,687 – around £214 – which campaigners say is the minimum living wage. Russell Brand placed his contract in good faith. A big difference to the fashion industry whose buyers know exactly what is going on. They play factory against factory, country against country, to force down prices. They could just as easily use their buying power to force up labour and environmental standards, but they do not. But real issues are raised. Workers are being exploited in sweatshops, not only by Primark, also brands selling expensive clothes, with massive mark-ups, fools and their money easily parted for a label. Factory gate price around a dollar, retail in the shops around $70. A huge mark up. The wages to the workers could easily be doubled, and it would make not a jot of difference to the retail price. Gap, WalMart, Hugo Boss, a very long list. What you pay for is the label. If the Daily Mail was interested in the fate of workers in sweatshops, they would be exposing Gap and other big names. Big names play one factory against another, one country against another, to force down prices. They know what goes on in the factories, but prefer to turn a blind eye. Questions need to be answered by Russell Brand on the massive mark up, where the clothes are being made, the wages of the workers, the hours worked, the working conditions. Also, what social enterprises are being supported? We know Trew Era Cafe has been supported with money from Revolution. Transparency is important for credibility. Set higher standards, force others to follow. Slow fashion. Unbleached natural organic cotton, kinder on the environment, softer on the skin, looks good too. If dyes are to be used, then natural dyes. Cotton is a very dirty crop. It uses vast amounts of water, huge amounts of chemicals. More water, more chemicals in the processing of the cotton. The clothes are usually made in Third World sweatshops. Industrial cotton is one of the most environmentally damaging crops that Man grows. Organic cotton is much pleasanter to wear. Organic cotton is biodegradable and can easily be recycled. Industrial cotton requires an enormous amount of pesticide to keep it viable. Each pound of product requires a third of a pound of pesticides, which adds up to 25 percent of all pesticides used in the US for 13 million acres of cotton. Many cotton pesticides are EPA toxicity class I, like the viciously effective insecticides Methomyl and Methyl Parathion. A study by the California Department of Pesticide Regulation revealed that pesticide usage per acre increased during the 1991 to 1995 period by 4.21 pounds to 14.15 pounds per acre. The reality in the Third World, where pesticide regulation is more relaxed, is much worse. Commercial white cotton is by far the most pesticide-dependent crop in the world and a major global crop. Fifty-five countries rely upon cotton for a significant percent of GDP. Cotton processing also takes another toxic toll, as the use of chlorine bleaching agents, formaldehydes and phenols is quite dangerous to all life. Fabric dyes utilizing arsenic, lead, cadmium, cobalt, zinc, and chromium are also very problematic. All processing stages produce large amounts of toxic wastewater. Azo dyes are cheap and common, about 2,000 exist. Many are water based and possess highly carcinogenic material absorbed by the skin and accumulated in the body. Inhalation, aquatic exposure or simple skin contact can be harmful. The EU has banned import and usage of the more toxic versions containing arylamines, though these products are used elsewhere. Other acid dyes produce waste streams with pH values above 11 and with possible carcinogen content. Organic cotton is good for the planet, good for ourselves. Natural cotton does not have to be any colour so long as it is off-white. Cotton grows in varying hues from purple to brown. Cross-breeding programmes have selected cotton of red, blue, green. This eliminates the need for dyes. Slow fashion would set a standard. 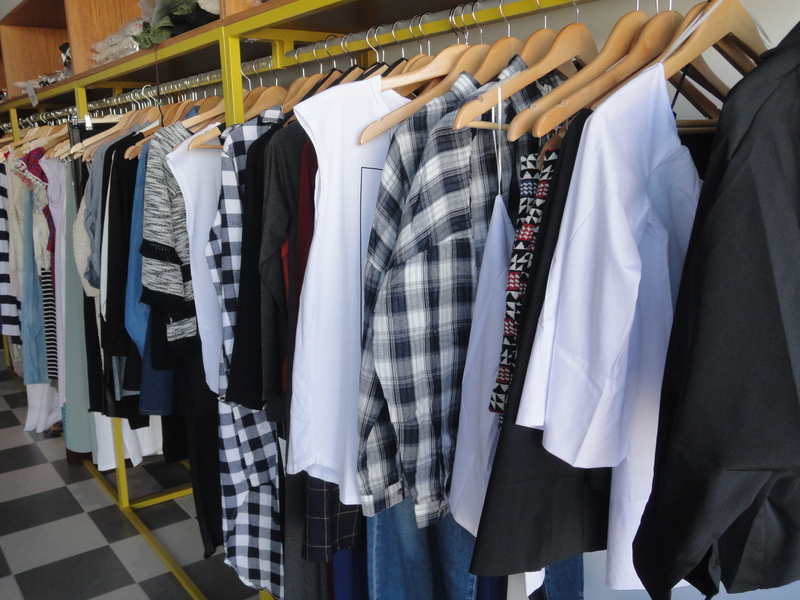 Clothes that look good, clothes that last. Style not fashion. Fashion is consumer addiction. If people ask questions where their clothes come from, we would see an improvement. Labour Behind the Label are the people to talk to about sweatshops. Maybe a Trews on the topic. Labour Behind the Label are part of a European network on sweatshops. Maybe a different approach is needed. A few years ago, Paulo Coelho did a deal, whereby Mango sold limited edition t-shirts. The proceeds went to support kids in a favela in Rio through the Paulo Coelho Institute. Paulo and his wife Christina support these kids. One way is selling limited edition art and jewellery through Etsy. The Way of the Bow has been produced as a collaborative effort. People can download for free. If they wish, they can make a donation to support the kids in the favela. We used to have dark Satanic mills producing fabrics, they dominated the landscape. Now few are left. In their heyday they destroyed the India cotton industry, now it is the other way around. But, take into account shipping, employment conditions, it is now viable to produce quality clothes in these mills. Maybe one can be contracted to produce, or maybe the model Paulo Coelho used with Mango. The East End of London used to be home to many sweatshops. Do any still exist? Talking to my own contacts. T-shirts/sweatshirts retailing at a tenner, a fiver from supplier. A 100% mark-up. Supplier sources direct from sweatshops in Bangladesh. How much would it cost to source if specified unbleached organic cotton, living wage, no illegal overtime? Advantage of production in the dark Satanic mills is better control. Can we trust what we are told in Bangladesh with the level of corruption? Look to Barcelona, interlocking coops. When something is needed, a new coop is established. Crowd fund one of the East End sweatshops as a coop. Community owned, better pay and working conditions, producing clothes for other social enterprises. The design of the sweatshirts poor. Remove what is on the back, retain small logo on the front. This would also reduce costs. Last Sunday was the opening night of citrus. But as luck would have it, my flight was late. citrus. is proving popular with Russian girls who are happy to spend money on quality but not on tourist tat. citrus. An upmarket boutique in centre of Protaras, opposite Vrissiana Beach Hotel.